Yes, I agree. Take a look at www.levelvdesign.com in the renovations section, that is where I noticed the same photo. Thank you. I can see. I've never heard of them before? How cheeky are they?! Tile? - What is the main tile? It is gorgeous! 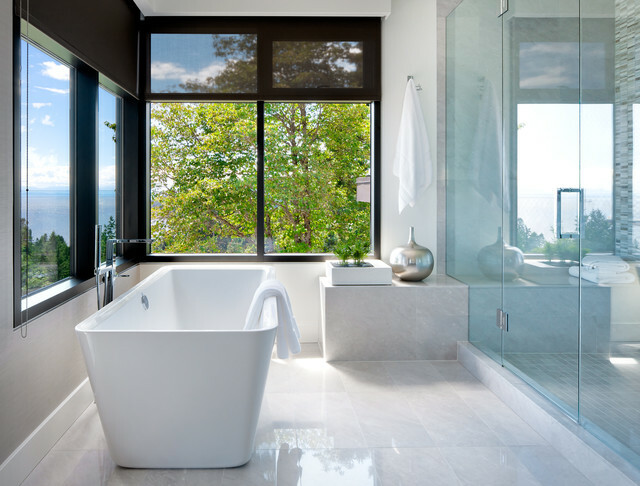 This was a natural stone (marble) from Stone Tile here in Vancouver. It was a very soft pale grey colour. Tub looking out into front or backyard? ?